Trusted service since 1999 in residential and commercial plumbing repair and maintenance. The maintenance and repair services at Air Tech are number one in quality and customer service. Based in Ship Bottom NJ, our services are available to LBI and surrounding Ocean County areas. Proudly serving our community since 1999, the LBI area has depended on us to provide professional plumbing maintenance service, quick repairs and dependable emergency service. Whether you’re a business owner, local resident or renting out your NJ vacation home, if you need plumbing repair and maintenance services, we have you covered. Proper maintenance of your plumbing system is critical to help prevent big repair jobs and plumbing emergencies. Serving the community of LBI with an old-fashioned customer service approach, our professional plumbers know the importance of a regular inspection. 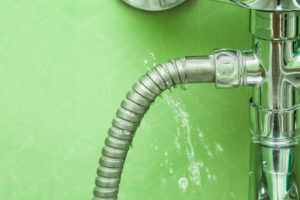 From faucets and drain lines to sump pumps and hot water heaters, we take a proactive approach by diagnosing any possible problems before they occur. 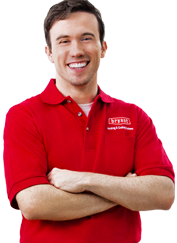 Air Tech Heating, Cooling and Plumbing also specializes in serving the needs of Property Managers and business owners throughout Ocean County, NJ. Our professionals are experienced in satisfying the demands of various rental properties and commercial development. We pride ourselves on customer service – offering fast responses and complete communication. Rest assured, your tenants will receive quality workmanship and professional repairs. And, you’ll be working with a trusted plumbing company who understands your needs as a landlord. Through cutting-edge technology, we’ll inspect your plumbing systems and troubleshoot problems, efficiently solving them for you. Get the peace of mind knowing that your plumbing systems are in good working condition and that you’ll avoid costly situations in the future. Air Tech is committed to fast, courteous and quality residential and commercial plumbing service for the LBI and surrounding Ocean County areas. Whatever your plumbing problem may be, we will provide you with the best solutions to solve your challenge. Plumbing repairs can range from a simple plumbing fixture leak and toilet installs to drain cleaning and water heater repairs. Whether you require help with a minor plumbing repair or a remodel, our pledge to you is to always provide fair, honest, dependable and reliable service done right the first time. Don’t wait for a simple repair to “fix itself.” Give us a call today. Emergencies happen. When they do, it’s essential to have a plumbing company you can trust. Someone who has your best interests in mind. Call Air Tech, the experts at handling the unexpected. Whether you experience a plumbing emergency at your Ocean County home, rental or place of business, our team of experienced and highly skilled plumbing technicians are prepared to handle any sized plumbing emergency, large or small. And we always answer the phone. In addition to being NATE- and EPA-certified, our plumbing and HVAC experts also offer concierge services to the LBI and Ocean County, NJ areas. This allows us to service your location even when you’re away. As your trusted “plumber-on-call,” we provide the most cost-effective solutions to your plumbing maintenance and repair needs. Still unsure what plumbing company to turn to? Feel free to ask for a reference or call us at 609-222-4519 with any questions.